Funeral services for Stanley J. Herbst will be held at 1:00 PM on Tuesday, September 18, 2018 at Trinity Lutheran Church, New Richland. Pastor Paul Andree will officiate. Visitation will be from 5 – 7 on Monday at Trinity Lutheran Church, as well as one hour prior to the service on Tuesday. Burial will be in St. Olaf Cemetery. Stanley passed away surrounded by family on Thursday, September 13, 2018 at The Beacon at New Richland. He was 93 years old. Stanley Joseph Herbst was born on February 7, 1925 to John and Inga (Johnson) Herbst in New Richland Township, “in the Northwest Corner!” He was a lifetime resident of New Richland and lived in the same house for over 90 years, before going to The Beacon. On October 13, 1948, Stanley was united in marriage to Doris (Paulson) at Le Sueur River Lutheran Church, New Richland. The couple was blessed with four children: LeAnn, John, Marsha, and Kevin. Stanley was a farmer for many years. He worked for Peterson Electric, and also worked for Design Homes, and Kohnert and Youngberg Construction. Stanley was fortunate enough to call work his hobby. He loved what he did, from carpentry, to wood working, and fixing just about anything in the house. Stan always liked the outdoors, and he enjoyed mowing his lawn. In his later years, he also enjoyed spending time with Marilyn Meyer and her family at their cabin on Reeds Lake. 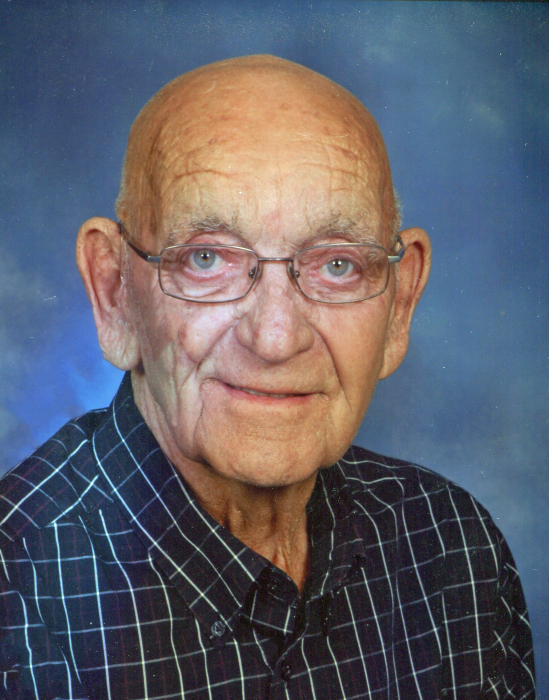 Stan was a member of Trinity Lutheran Church, where at one time he served as the Church President, on the Church Council, and on the St. Olaf Cemetery Board, where he was proud of the Avenue of Flags display. He also drove school bus for the NRHEG school district for 13 years. He is preceded in death by both parents; wife, Doris Herbst in 1991; brothers, Glen (Delerene) Herbst, Russell (Luella) Herbst, Harvey Herbst, Dewey Herbst, and Homer Herbst; brother in-law, James Paulson; and nephew, Randy Paulson. Stanley is survived by his four children, LeAnn (Dean) Buendorf of New Richland, John (Cheryl) Herbst of New Richland, Marsha (Bob) Heers of Owatonna, and Kevin (Lori) Herbst of Albert Lea; special friend Marilyn Meyer and her daughter, Belinda (Jerry) Gold; grandchildren, Chad (Kari) Buendorf, Troy (Theresa) Buendorf, Scott (Dawn) Tangen, Dena (special friend, Lance) Herbst, Matthew (Laurel) Heers, Nathan (fiancé, Nicole) Heers, Allison (special friend, Mark) Herbst, and Adam (special friend, Katie) Herbst; great-grandchildren, Devin, Kia, Clara, Eva, Nellie, James, Kaleb, Maci, and Everly; sisters in-law, LeVine Paulson and Hazel Bach; as well as many other loving nieces, nephews, extended relatives and friends.